Joe Stone is at it again... first he brought us the X-Men family tree, now he is tackling Marvel's first family, The Fantastic Four. 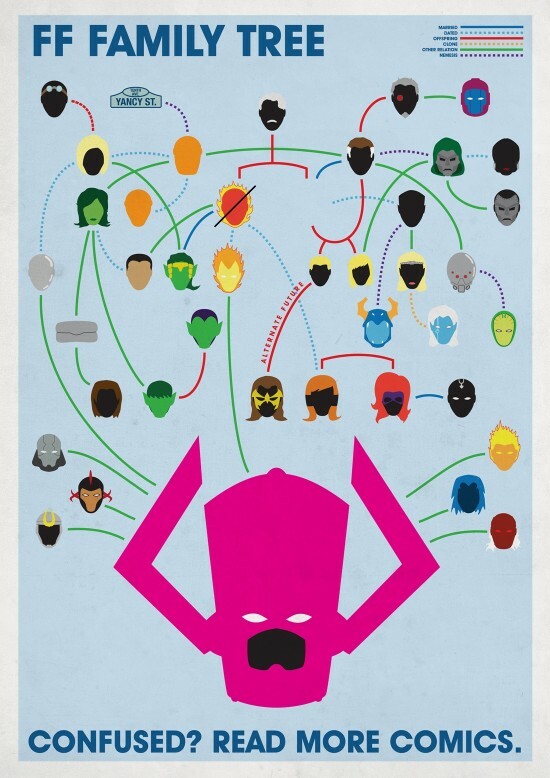 This one is very informative, and nowhere near as confusing as the X-Men one. Hope you enjoy.